You’re never further than 6ft away from a rat in the city, or so the over-inflated urban myth goes. Although 160ft may be a little more accurate a distance, the thought that our garden and allotment compost heaps can attract rats, often puts a lot of people off composting. Not to mention that by NOT throwing out your compost waste with your general rubbish, you’re also helping to reduce methane emissions (a potent greenhouse gas) from landfill and to lower your carbon footprint. 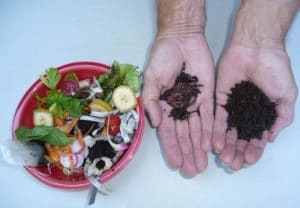 Organic food scraps and garden waste currently make up 20 to 30 percent of what we throw away, and can easily be composted instead. water for moisture to help break down the organic matter. See our composting infographic for more about what you should and shouldn’t compost. Optional: Cover top of compost with a tarp to keep it moist. When the material at the bottom is dark and rich in colour, your compost is ready to use. 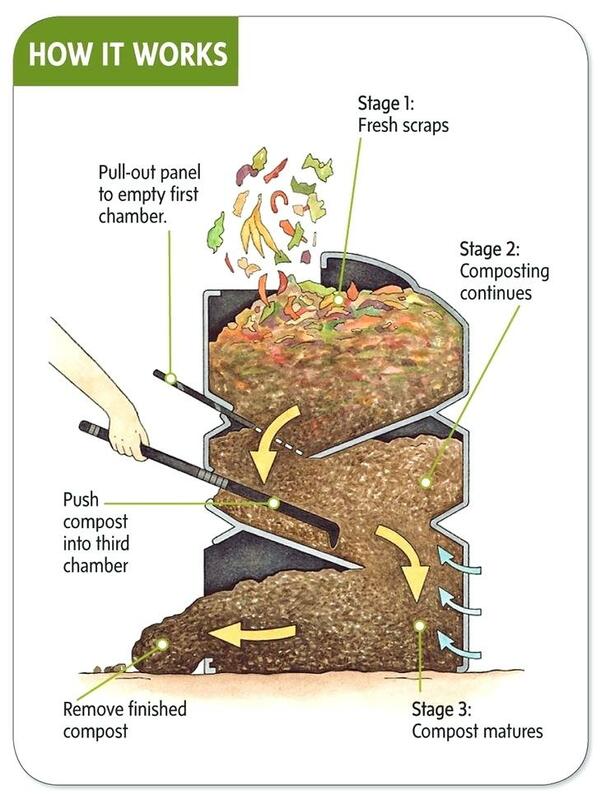 This usually takes anywhere between two months to two years depending on how well you manage it and are actively composting. In general, rats are shy and looking for two basic things: food and shelter. Keeping your compost heap actively composting (with the correct mix of greens, browns and water) is a good deterrent to rats in itself. After all, a well-kept compost heap, visited regularly, will be less attractive to them because you’ll be disturbing them and maintaining a moist, uninviting space. Don’t position your bin next to a fence or hedge, which gives rats unseen access – leave a gap around it. Don’t compost cooked food, meat or dairy. Plant mint near your compost heap. Mice and rats are reputed to hate the scent of mint, so if you plant a few mint plants close to your compost pile, it may be enough to deter them. It is possible to stand a compost bin on a hard surface, or line the bottom with narrow-gauge metal mesh to prevent animals getting underneath your bin. A tight-fitting lid also stops them getting in at the top. Try digging in your organic food waste. If you do this in your heap/bin you should cover it up with a couple of inches of grass clippings or leaves that you’ve set aside as a layer to top any food scraps. Usually, rats are drawn to compost piles because they are on the lookout for food. That’s why adding meat or dairy or cooked food in general is a bad idea. They’re a sure fire way to attract rodents. Bury your food scraps directly in the soil by digging compost trenches to put it in that gets covered over with soil. You can buy or make compost bins (like tumblers) that are sealed and kept off the ground for a clean solution. 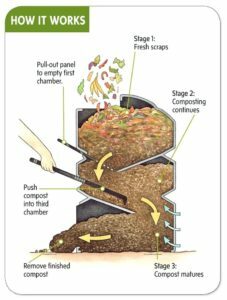 You don’t employ worms to break down the matter as efficiently with this method of composting, but it is a quick way of creating a useful mulch from your organic kitchen and garden waste. Use Bokashi to deal with your kitchen waste where you layer our scraps (veggie and fruit, along with meat and dairy) with a Bokashi innoculant into a special bin to ferment for a couple of weeks before you add the fermented contents to your outdoor compost pile where it breaks down quickly and rats won’t even consider touching! Try worm-assisted composting or “vermicomposting” by doing your composting in a wormery; a self-contained system normally the size of a small dustbin where you put your organic waste for the worms to break down into compost. For more information book your place at our Summer Social event taking place on 5 August 2018, where we’ll have a guest speaker talking about secrets to gardening success and our Master Composter will be showing us how to make our own, home-made wormery at Westbury Arts Centre, Shenley Wood, Milton Keynes.